Tubey Toys Review: Video and Toy Review: Radz Candy Smooshy Mushy 4 in 1 Deluxe Blind Bags - Perfect for Valentine's Day or Easter Basket Stuffers! Great Value! Video and Toy Review: Radz Candy Smooshy Mushy 4 in 1 Deluxe Blind Bags - Perfect for Valentine's Day or Easter Basket Stuffers! Great Value! The Radz Candy brand takes “playing with your food” to a whole new level with their whimsical and totally rad candy dispensers. You may have seen familiar characters and superheroes in Radz form open his or her mouth to release yummy Radz candies to you! Fidget spinners spin candy, walking windup dispensers that release candy, twist tops dispensers that hold the candy, foam dispensers that can be squeezed—Radz has revolutionized the way we retrieve our treats! 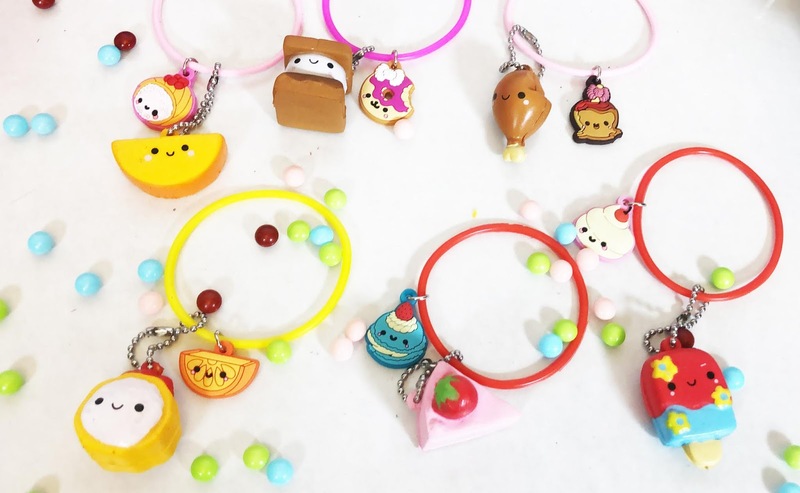 For those that have been reading my blog for a while or who watch our YouTube channel must already know how much we love Smooshy Mushy squishies. While Marcello loves the characters and squishies, I appreciate their packaging, the squishy itself, and the actual storyline! There seems to be a new chapter each series, and you never know where these rascal Pets and Besties end up! Now, you can find the Smooshy Mushy Besties in Radz candy blind bags, and they’re easily located at Target and at Walmart! I’m delighted to see that Radz and Smooshy Mushy teamed up to create the most amazing deluxe blind bag! You get so much stuff in this one blind bag that I am sure your squishy collecting kiddo would love this treat for Valentine’s Day. I’m thinking Easter basket fillers, too! 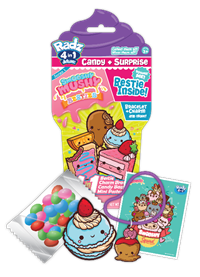 The new Radz Smooshy Mushy 4in1 Deluxe blind bag is a brilliantly colored foil blind bag with four amazing surprises inside! You get the brightly colored and yummy Radz candy, a mini poster featuring fun sayings and images of your favorite Smooshy Mushy Besties, a stretchy bracelet that looks like candy rope and attached to mystery 3D charm featuring a Smooshy Mushy bestie, and finally, a squishy, super slow-rising Smooshy Mushy bestie! Each Bestie is paired with a different 3D charm, and there are 13 to collect for each type. The Besties that are included are all of the besties that were found in the blind bags for series one Smooshy Mushy, and now the blind bags are totally hard to find. Some besties you will find are Drina Drumstick, Shaya Sushi, Bella Blueberry Macaron, and the super rare Samira S’more! If you’re apart of the #SmooshySquad you know how coveted these mini squishies are so I would say buying the new Radz Smooshy Mushy 4in1 Deluxe blind bags are a no brainer! 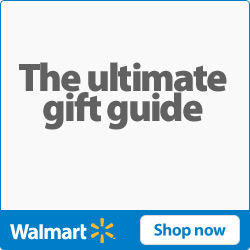 Radz Smooshy Mushy 4in1 Deluxe blind bags are available at Target for $4.99 and at Walmart for $4.97. Show off your how you eat your Radz candy and how you squoosh your bestie by sharing on social media! Make sure you follow Radz on Instagram @radzbrands and on Facebook @RadzWorld!